Circular Economy Simplified - Planet Aid, Inc.
A "circular economy" is a concept being increasingly bandied about these days. But what is it exactly? To those unfamiliar with the topic it can seem a bit complex. In short, a circular economy uses resources so that they are continually reused, making them go around and around through a production and consumption cycle. In contrast, most of our economic system works on a linear model, where a product is manufactured, consumed, and then thrown out. Take for example, a T-shirt. Fibers are grown in a field, produced in factory, sold at a store, consumed at home, and then thrown in the trash to be sent to the landfill. The upshot is that we invest an immense amount of energy and resources to create a product that has a short consumer lifespan. In a world with seemingly boundless resources, this would not be a problem, However, with the Earth nearing its environmental limits, such practices are increasingly damaging and unsustainable. Let’s imagine how the life of this T-shirt would look if American consumers bought their fashions from companies following a circular model. In this example, consumers return their merchandise back to the manufacturers, who then recycle the clothing and sell it again. Sounds like a good idea. Why don't we have a circular economy now? A lot of the products we buy now are not manufactured to last very long. As a result, businesses profit when their low-quality items fall apart and consumers are forced to buy again. On the other side of the coin, we as consumers would need to make a larger effort to repurpose our products than we do now, and research has shown that we tend to do so only when it’s convenient for us. Are there real-life examples of this happening right now? 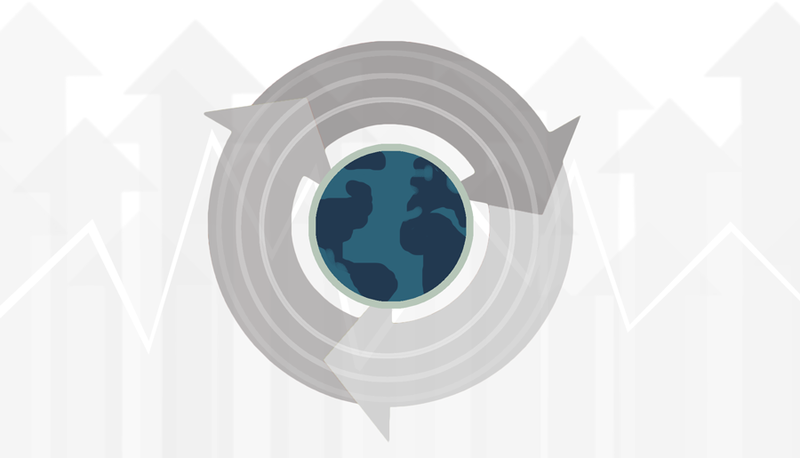 Yes, there are companies that have taken steps to move toward a circular model. Levi’s is one brand taking the initiative to recycle, allowing customers to return their old pairs of jeans to any store location to be repurposed or recycled. Other businesses utilize a leasing model, which helps prolong the life of items that may otherwise be prematurely dumped. Furnishare, for example, is a New York-based company that delivers and rents out quality-furniture. The idea was formulated after founder Alpay Koralturk became frustrated not only by the stress of moving in New York City, but also by the amount of furniture that was constantly being thrown out. The Furnishare system encourages high-quality manufacturing, reuse, and repair, all principles of a circular economy. What can we do to move towards a circular economy? We can start the shift towards a circular economy by purchasing from businesses that have made steps to adopt circular practices. We can also aim to lengthen the useful life of what we purchase by repairing our things instead of replacing them. As for clothing, we can patch and sew them up, revamp them, and finally recycle items we no longer want. Planet Aid makes it easy to do this through its system of yellow bins across the country, as well as its Thrift Store in Baltimore, Maryland. If we all make the effort to move away from a linear mindset, we can improve both the quality of our products and our environment.